Though I'm not so much of a morning person, breakfast is one of my most favorite meal of the day. Sadly very few restaurants here in Dubai serve breakfast all day. 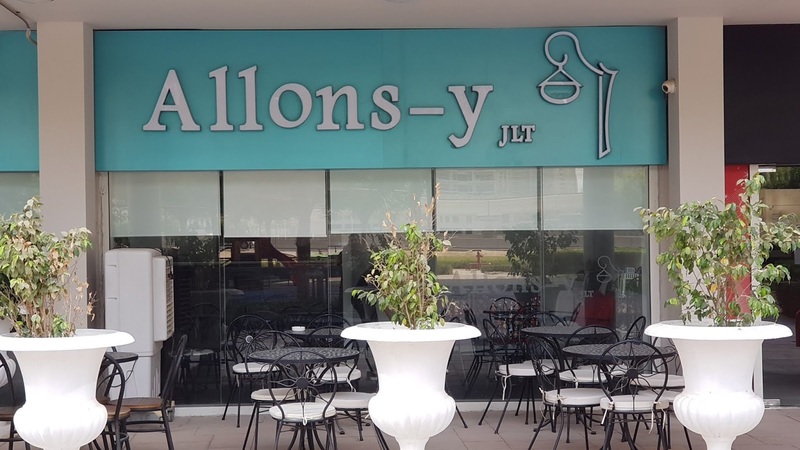 I fortunately ran into this little cafeteria called Allons-y in Jumeriah Lake Towers who do an all-day English breakfast 7 days a week. The snug little place, situated at the Promenade level of HDS Tower is run by a young India lady named Juno, who is also a passionate Chef and Baker. A self trained culinarian, Juno is serious about what she does, and is quite good at it too, as I eventually learnt. Between brunch and coffee, I managed to chat up with her and got her to share her interesting story. All this while enjoying a delicious plate of good old fashioned English breakfast made by her own hands. Overall, an afternoon well spent. What I had I started off with a glass of chilled coffee. After chatting up with Juno for few hours atleast, it was time to go for the lunch. 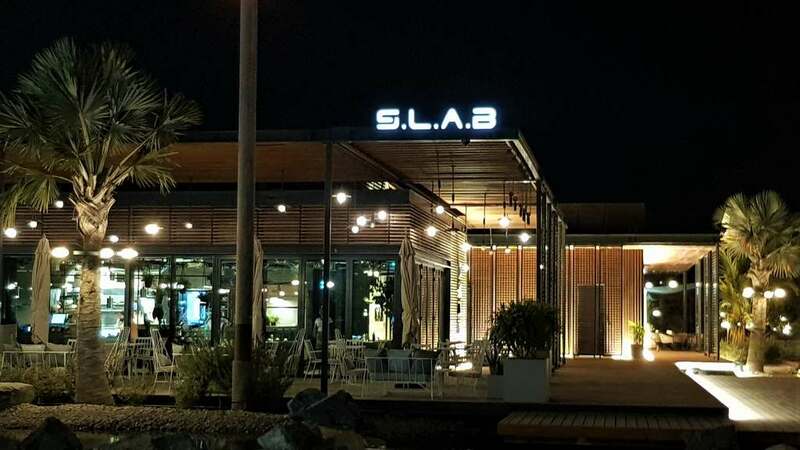 Situated on the gorgeous La Mer beachfront, SLAB is no ordinary restaurant, but a culinary laboratory of sorts, manned by an experienced chef, a super friendly manager and a fabulous team, who are well trained and knowledgeable about the rudiments of the food they serve. The restaurant is quite simple, relaxed and casual without any unnecessary props, but the milieu serves as a powerful canvas that casts focus on the art on plate. Within only a few months of its existence, SLAB has managed to carve a unique niche for itself among foodies that are looking for something different, interesting and healthy at the same time. SLAB's international menu features dishes inspired from all corners of the globe. Each and every single item on the menu is innovative with a modernist take on some good old favorites. The menu is a constantly evolving one, which changes with the season. This ensures that the best seasonal ingredients are used in preparing the dishes. 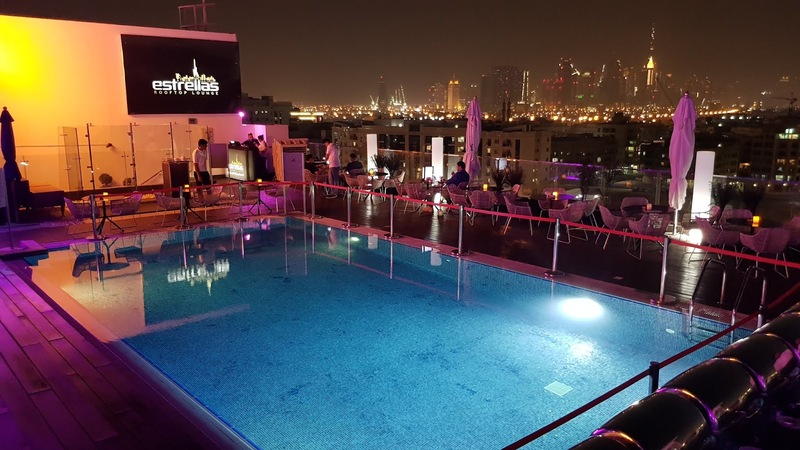 Estrellas Rooftop lounge is probably Bur Dubai’s most popular roof top lounges that has been a preferred spot of choice for many living around and afar. Ever since it launched in 2016, the place has become a hot spot for weekend parties and meet-ups with friends. So, when blogliterati.com was invited to review Estrellas lounge on Thursday, we didn’t have to think twice before darting there. The place looked fabulous and the pool added that gorgeousness to the venue. We met the super friendly restaurant assistant manager Avijith Singha who led us to the most ideal table above the pool. The view of the Dubai skyline including the Burj Khalifa was simply stunning. There couldn’t be a better place to enjoy a weekend! In starters we were served veg and non veg platter an assortment of kebabs and tikkas and the works! Boy oh boy, it was love at first bite! Set up by an Emirati entrepreneur on the promenade level of the MAG 214 tower at JLT, Highway311 serves amazing grills and BBQ tastes and flavours from around the world to the food lovers of Dubai. Their menu featuring the grills and BBQ dishes have been inspired by the classics, yet are inventive and packed with fresh flavours and subtle aromas. Blogliterati.com were invited for a review last week and we did enjoy some fine delicacies from the Peruvian region. With the limited number of Peruvian restaurants in Dubai and scant availability of Peruvian spices, getting to taste authentic Peruvian food is a difficult if not impossible task. 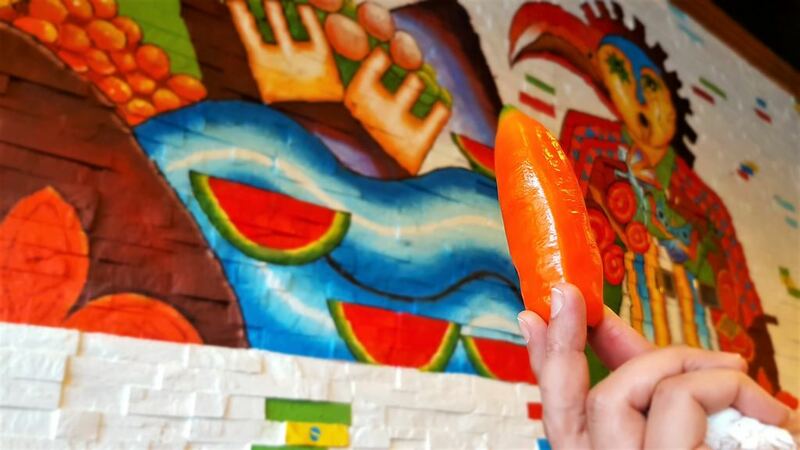 Thanks to restaurants like 311, who import all their spices and condiments directly from Peru – one can get to taste authentic Peruvian food like how the Peruvians would eat it. 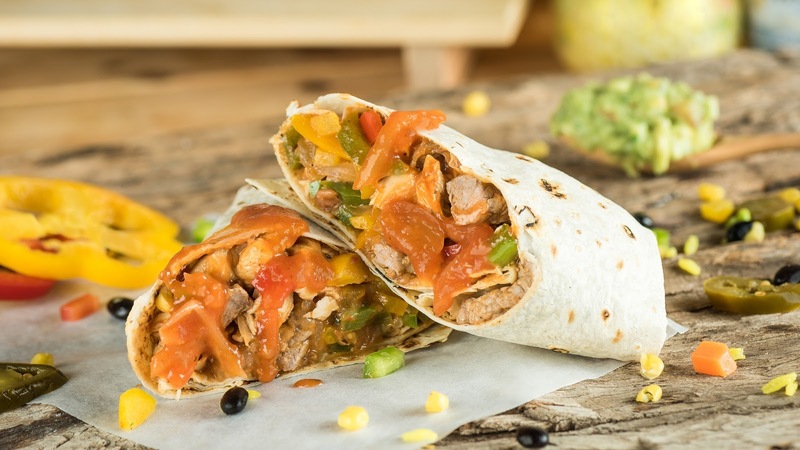 The Unbeatable 21 for 121 Mexican Food Fiesta at Jules Bar is NOT to be missed! A popular Dubai bar and bistro in the Méridien Village Jules serves up great Mexican cuisine and a wide range of drinks all day and night. Jules offers a casual atmosphere with seating either inside or outside on the terrace. Dynamic live entertainment from two resident bands seven days a week. Jules Bar has launched an all new and exciting menu of 21 dishes called Fiesta at 121 and Blogliterati.com was invited to review it. With the DJs belting out cracking tunes, we enjoyed some totally lip-smacking bar-bites and signature Tex-Mex dishes, including but not limited to Muchos Nachos, Tex-Mex Caesar Salad, Buffalo Wings, Beef Taquitos, Cancun Shrimps and Avocado Salad, to classics like Crunchy Tacos, Mini Burritos, Chunky Chicken Chimichanga, among others. With 21 eclectic varieties of nibbles and Tex-Mex specialties to choose from, the astounding ‘21 for AED 121’ fiesta at Jules Bar is not to be missed! Longing for brunch with a twist? Look no further, Dukes Dubai's dress-to-impress themed brunch says it all. Starting from 7th September, head down to the Great British Restaurant in your most stylish attire every Friday for a fun and elegant way of brunching. Summer’s almost over but it doesn’t mean your holiday has to be! Visit caféW any night of the week and choose from Italy, France or Spain and the caféW team will transport you to Europe. 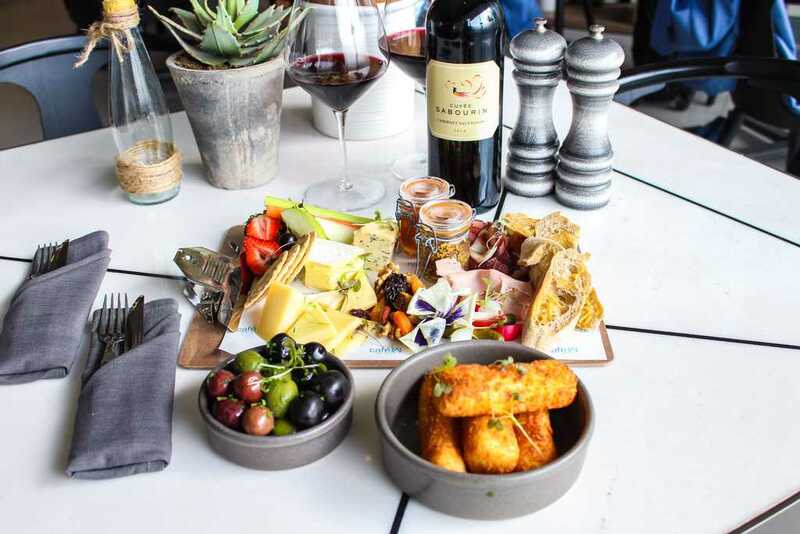 Launched on 15th of August, caféW is currently offering three packages which guests to sample delicious dishes and wonderful wines without having to book a trip, deal with flight delays, or pack their bags! Available from 6pm daily, the AED 210 package includes a carefully selected bottle of wine from the country of your choice, delicious regional meats and cheeses and one hot and cold small bite selection. Dreaming of Italy? Try some flavourful pecorino, cheesy arancini and bruschetta topped with tomato, olive and eggplant. If you’d rather choose Spain, their prawn chorizo, manchengo and beef pancetta will have you feeling like you’re in the Mediterranean. In my honest opinion the word “Hidden gem” is one of the most overused and redundant terms in the lexicon of food bloggers in this part of the world. So, I thoughtfully always desist from exploiting the word. However this wont, in any way stop me from raving about this new-old “Gem” of a little Italian restaurant that I recently visited. Crumby Dubai is a pretty little shack run by a hospitable and hardworking Italian couple Massimiliano and his wife Alessia at the ground level of the Iconic Omniyat tower in Business Bay.The restaurant is so pretty, the very first thing you want to do as you enter, is click lots of pictures. By the end of your session, you’ll be taking more pics and selfies with the entrepreneur duo Max (Massimiliano’s nick name) and his pretty wife, who even has a sandwich named after her. 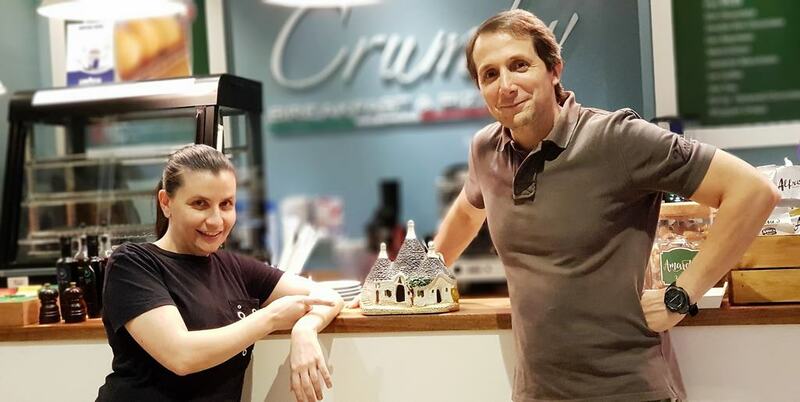 I’ve met very few restaurateurs in this part of the world, that are so hardworking, passionate about what they do and friendly to the core as Max and Alessia.